When commercial productivity counts, these units are our most popular contractor and municipal machines. They respectively feature a 29 HP V-Twin or 37 HP Vanguard EFI engine coupled to our largest 20", 4 or 6-blade, armor plated impeller with 12 or 18 cutting points and dual shredding Piranha™ technology for up to 12:1 reduction and 4,400 or 5,050 cfm of suction power. The DL3700V's 37 HP Vanguard EFI engine delivers easier starting and fuel savings of up to 25% over carbureted equivalents. Built-In Rake Holder: Secures the extra clean-up tools needed on the job. 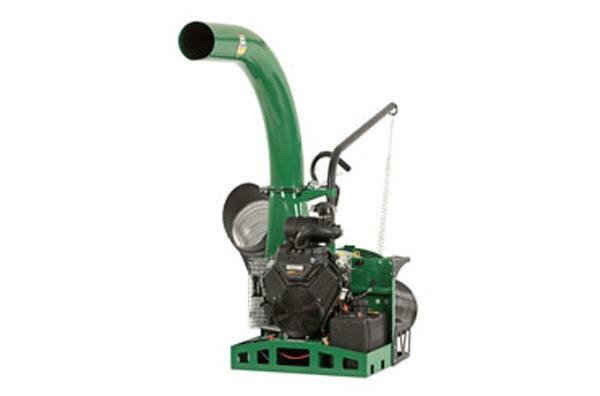 Vanguard EFI for up to 25% Fuel Savings (DL3700V): By adding closed-loop EFI, Vanguard BIG BLOCK engines deliver easier starting and fuel savings of up to 25% over carbureted equivalents.